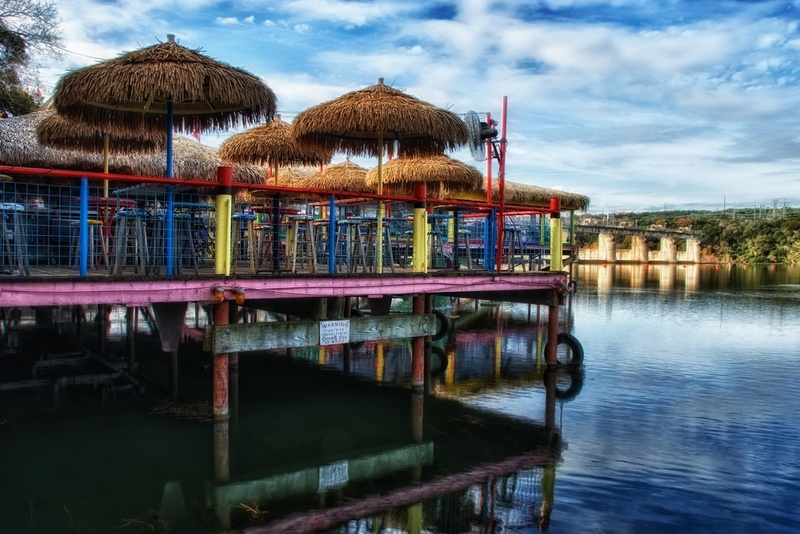 Hula Hut is a restaurant in Austin which sits on the lake and serves traditional Tex-Mex food with a Polynesian twist...they call it "Tiki-Mex". It sounds weird, but it works. It's a very popular spot, as the deck gives nice sunset views and is just an enjoyable place to relax. Folks drive up in their boats, dock them there and hang out. It's just another example of how we "keep Austin weird". I caught this image early one morning, which accounts for the emptiness on the otherwise crowded deck. That morning served up cool temps, calm waters and beautiful clouds - it's a shame it wasn't open then!